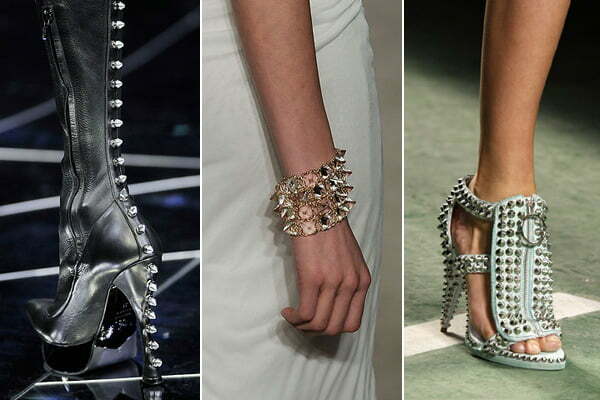 One of the most unique and edgy fashion trends has got to be spikes and studs. From spiked collars to studded bras, this intimidating-looking hardware is a part of fringe society that has never really gone out of style. Now more than ever we're seeing a resurgence of all things spiked, with the motif popping up in almost every accessory and clothing piece you can think of. 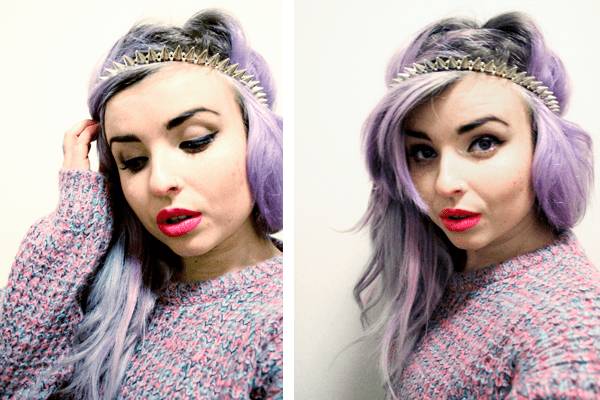 Where did this trend start, and why is it so popular? To trace the roots of this, we need to go back- way, way back. Far back enough to the time when armor was a must for anyone who fought. 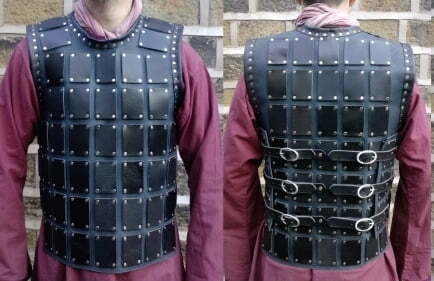 One of the earliest forms of armor was something called a brigandine- a complex garment that consisted of metal plates, pressed between layers of leather that made it more difficult for bladed weapons through the hides and into the wearer beneath. It also helped to absorb some of the blow from heavier, bludgeoning weapons, redistributing the shock to keep its wearer alive. Often mistakenly referred to in modern fantasy games as studded leather, only the metal studs that held the metal plates in place were visible. 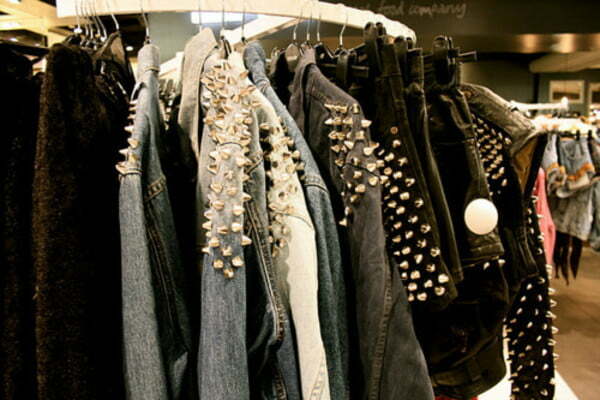 This gives us a piece of clothing with a similar look to the studding seen on leather punk jackets. It is, therefore, not an unlikely jump to say that the studs employed in clothing are a nod to their protective properties, as well as to the fact that only fighters wore a brigandine. Therefore, the person wearing such studded clothing was not to be trifled with lightly, as a fight could ensue that could leave you very much the worse for wear. 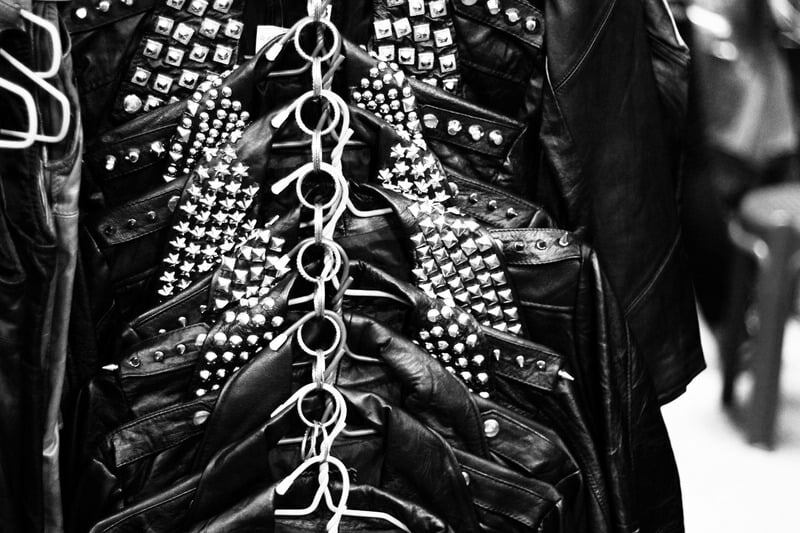 It's no wonder, then, that the underground cultures of goth and punk adopted studded clothing and accessories as staples. Spikes are also derived from fighters, though several different histories can be traced. One such option is to look to fighters of a different sort- dogs. Originally, spiked dog collars were put in place for dogs that hunted large, dangerous game- such as bears, wolves, and lions- as far back as ancient greece and Rome. These spiked collars helped to protect the dog's neck when they were fighting with these savage animals, and were often very wide and thick to offer the most protection. Sometimes the spikes were several inches long, trying to ensure that the hunting hound would not get bitten badly enough to be taken out of the hunt. Dogs with spiked and studded collars were frequently brought into battle by their masters and even pitted against humans in events like gladiatorial fights. One famous example is a mastiff favored by King Henry VIII, who earned himself a silver collar in reward for exemplary performance in one battle. In addition to affording these fierce dogs with protection, the collars could help to convince would be thieves and attackers that a given dog was vicious, warding off any untoward thoughts they may have had about robbing or attacking the owner of the dog. Another predecessor of spikes could be weaponry like maces, spears, and javelins. Pointed objects are one of the advances that allowed mankind to survive and to flourish, allowing us to hunt and defend ourselves. As years went on, these objects became ever more complicated- from simple speartips to huge balls of iron bristling with spikes, pointy spikes have always protected us from harm and allowed us to harm others. Spikes, then, are also a symbol of protection and of ferocity, and we can also view them as natural 'keep away' indicators- think of animals such as hedgehogs and porcupines that use spiky quills to keep predators at bay. All of these traits can apply to underground cultures to varying degrees- rockers, for example, are seen to be tough, so spikes and studs for them are used to show that. Punks can be seen by many as aggressive and antisocial, so their studded clothing and spiked jewelry shows that they can be dangerous, so keeping your distance may be wise. One of the most common things you'll see with spikes or studs will be collars. 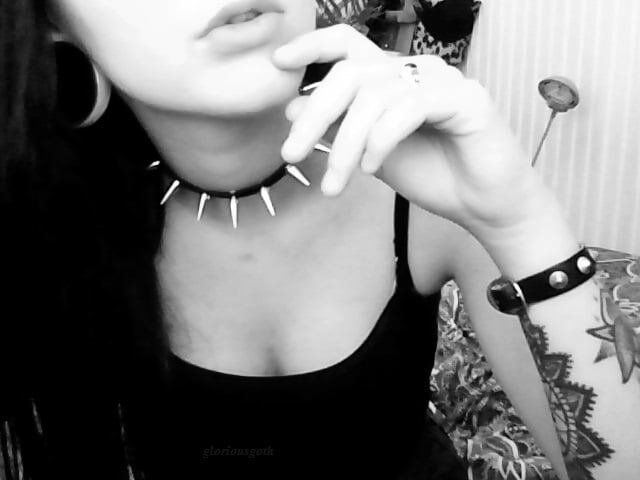 Not much had to change for the spiked collar to be adapted from a large dog to a person wearing it, and so it became one of the earliest and most recognizable forms of jewelry work in the punk rock scene. 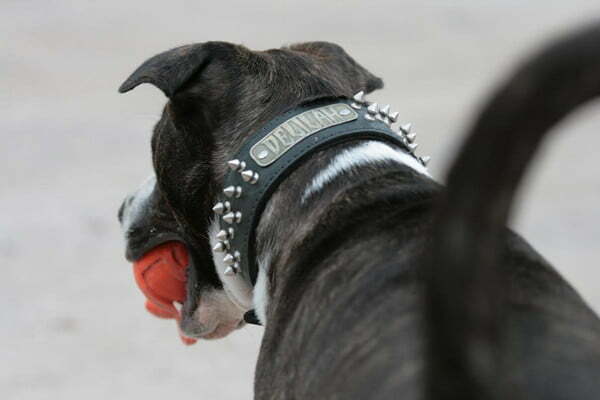 The collars symbolized a number of things- protection and agression, as we mentioned before, but also a lack of conformity with traditional societal norms- punks were wearing things made for dogs, creatures that could run wild, go rabid, and formed packs. Is it so unusual, then, that the punk movement adopted them? Spiked bracelets are also popular, especually with fans of black metal, death metal, and other heavy, dark music. Huge spiked gauntlets, covering the entire forearm, are worn by members of bands like Dimmu Borghir and Gorgoroth. These intimidating pieces are particularly interesting- they can protect the wearer, but they also promise a great deal of harm to whoever is foolish enough to attack them. The glam punk trend that is so popular now has also brought a new, feminine side to these foreboding accessories- you can now buy spiked headbands and studded hats! We always love to see a classic revamped in a great new way, and we are really on board with this trend. Another great place to see some studs is footwear. From stylish spiked stilettos to easygoing studded combat boots, just about every kind of footwear has been getting the heavy metal treatment. Worn with simple clothing, they make a great fashion statement, but you can pair them with more spikes and studs to really amp up the intensity. You don't need to get quite so extreme to incorporate spikes into your wadrobe, though, if you want to be a bit more toned down. New styles have emerged that have long, slender spikes that almost look like fringe and cast spiked jewelry in a sophisticated, edgy light. So while spiked and studded jewelry may have started off being brash and definitive, the newest incarnation retains some of their menace while adding in a bit of subtlety. Clothing, too, has seen some new life when it somes to metal embellishment. Where we used to just see studded jackets, we now have sweaters with studs on the shoulders, bras covered in spikes, and (our personal favorite) corsets ringed with row after row of shiny spikes (We think this would be perfect for securing a nice bubble of personal space on a crowded subway train, but that's just us). Clothing of all sorts has seen a new and shiny future getting decked out with all kinds or metal hardware, and we couldn't be happier! There are also classics, like the leather jacket. 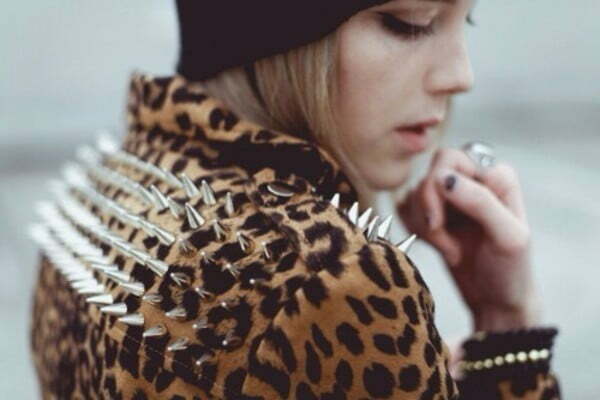 Edged with studs and spikes, especially around the back of the shoulders, this jacket is the epitome of punk fashion. Every 'real' punk had one, and usually only one- it would often be personalized with patches and pins, and could be worn with everything. Of course, there may be times when you look at your favorite pair of heels or best jeans and think, 'You know, these need a little something. A little edge. A little...danger' and we think you're right. Fortunately, you can buy spikes, studs, and metal claws of all shapes and sizes, ensuring you have a completely custom and awesome new piece that you be guaranteed no one else has. If you can work a screwdriver, you're already all set to begin customizing your clothes and accessories. 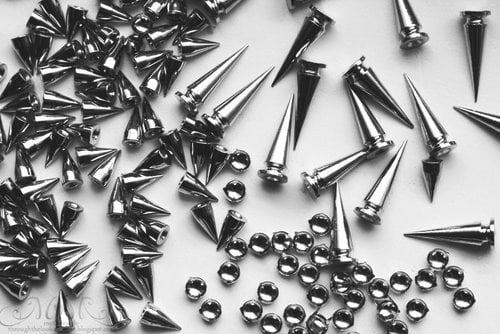 It is true that many people simply like the aesthetics of spikes and studs, and therefore don't put so much thought into what these items mean. But, as with so many other things, what we wear says a great deal about us whether we know it or not. The cultural subtext displayed in clothing and accessories is quite fascinating, and now we associate new pieces of cultural information with objects worn. So wear your spikes and studs with pride, and know they stand for all kinds of amazing things.